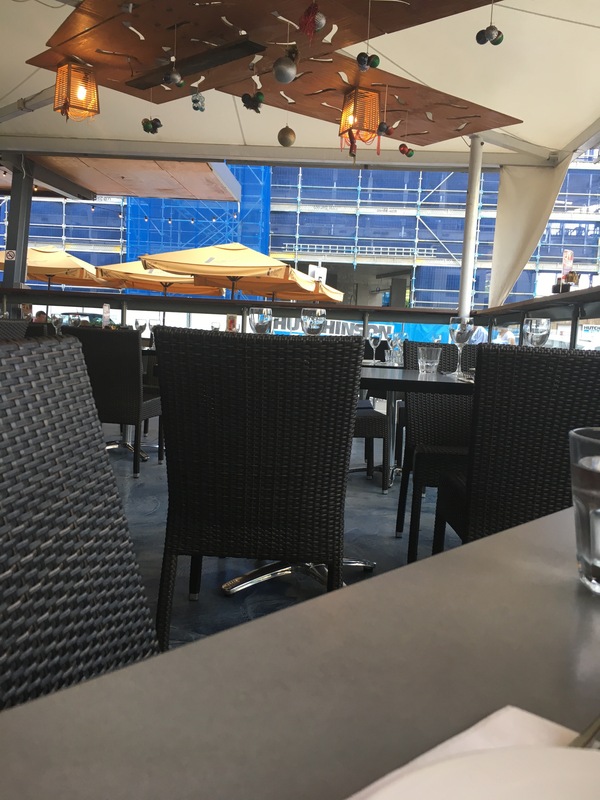 Earlier this month, we stopped by Portside Wharf, one of our favourite areas in Brisbane. After a stroll around, we dropped in on Cruisers for a meal. This venue never disappoints. As it was somewhat quieter today, we enjoyed a brief chat here and there with on duty staff. During the course of conversation, we discovered the owners have a big hand in the operation of this business. Whilst one is busy in the kitchen creating and experimenting with dishes, the other, is creating fresh desserts. Nice to learn those tempting morsels behind the glass cabinet are freshly made on premises, not generic buy in’s. Duck fat potatoes. One of our starting entrees, which can only be described as full of flavour. 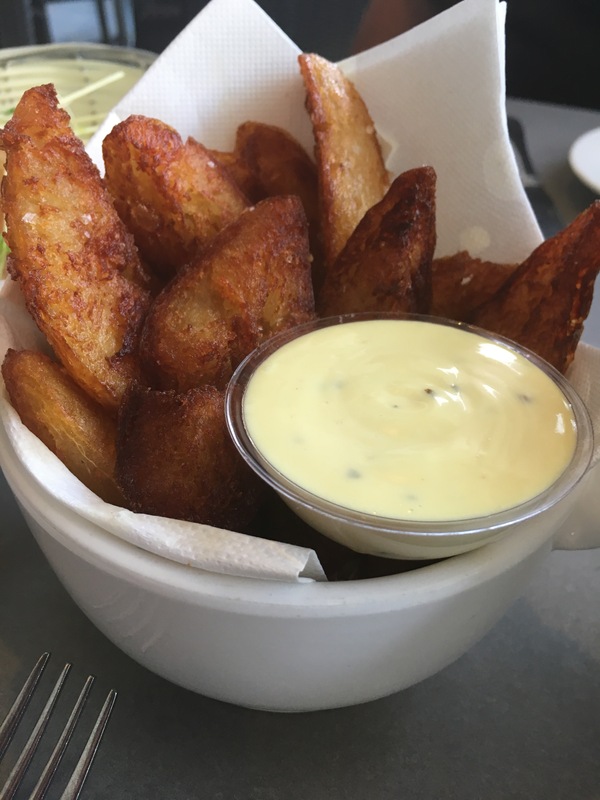 Certainly a nice take on potatoes if you are having them as a small side. Pork cracking, one of Hubbys favourites. 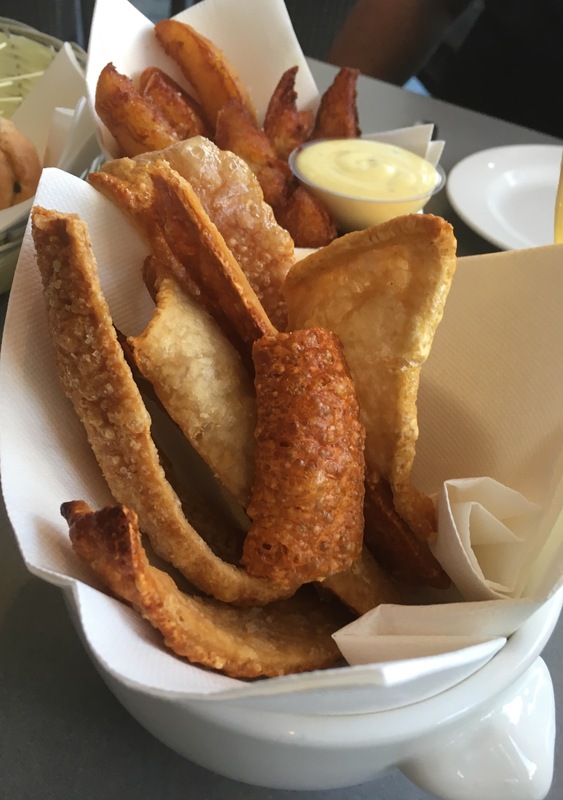 Nothing soft or juicy here, definitely very crispy crackling. Again, nice as a small side, but not too much. 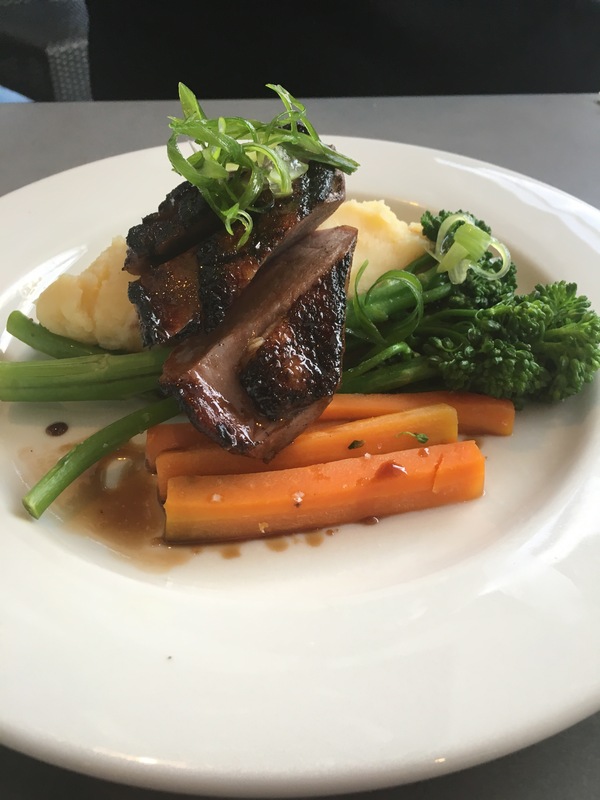 Today, Chefs special was a coffee glazed duck. Not a coffee fan, I didn’t partake, however, Hubby did. It is a rare occasion for Hubby to enjoy vegetables. This time, he devoured the veges, as apparently they were really good with the coffee glaze. Now who would have thought of that. Perhaps I should serve every meal at home with a coffee glaze…. Certainly presentation was crisply eye catching. Hubby did say that the combination sounded out there but worked superbly. 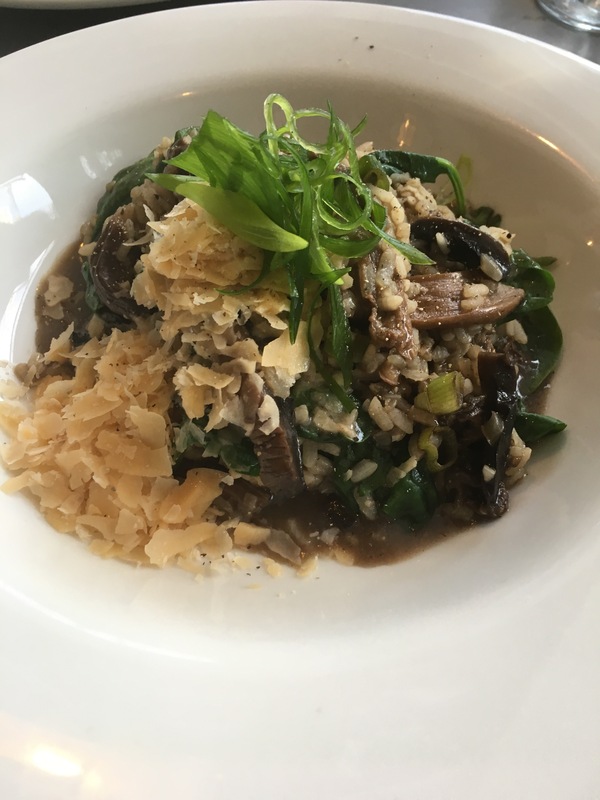 Looking for something a little different, I chose the porcini & field mushroom risotto. There was nothing soggy or overdone about this dish. A nice combination with the two mushrooms, boosted with the garlic and baby spinach. Most enjoyable. A dish I would definitely recommend trying. For me, the portion size was more than adequate. Yes it took a while, but I did enjoy each mouthful until I reached the point when I could have no more. It is nice when you can enjoy the meal but not feel like you have wasted it as there is far too much to eat. It doesn’t seem nearly so bad when you have to leave a only small amount behind. The need to finish with a sweet had Hubby leave the dessert choice to the friendly staff as he just couldn’t make up his mind. 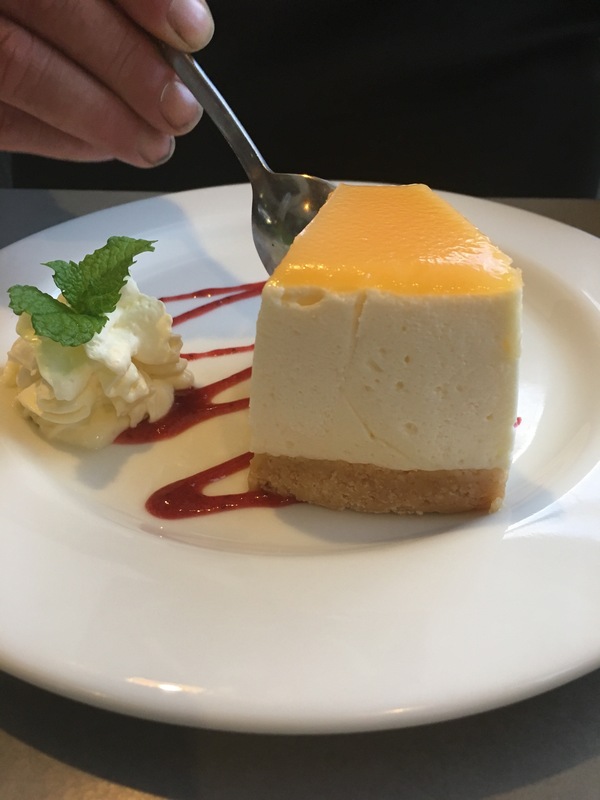 Before long, a lemon cheesecake appeared. Knowing this was their own dessert, I sampled a piece and can tell you the delightful tang of lemon was simply superb. Drop into Cruisers if you’re in the area, its a nice place to sit and watch the world go by. 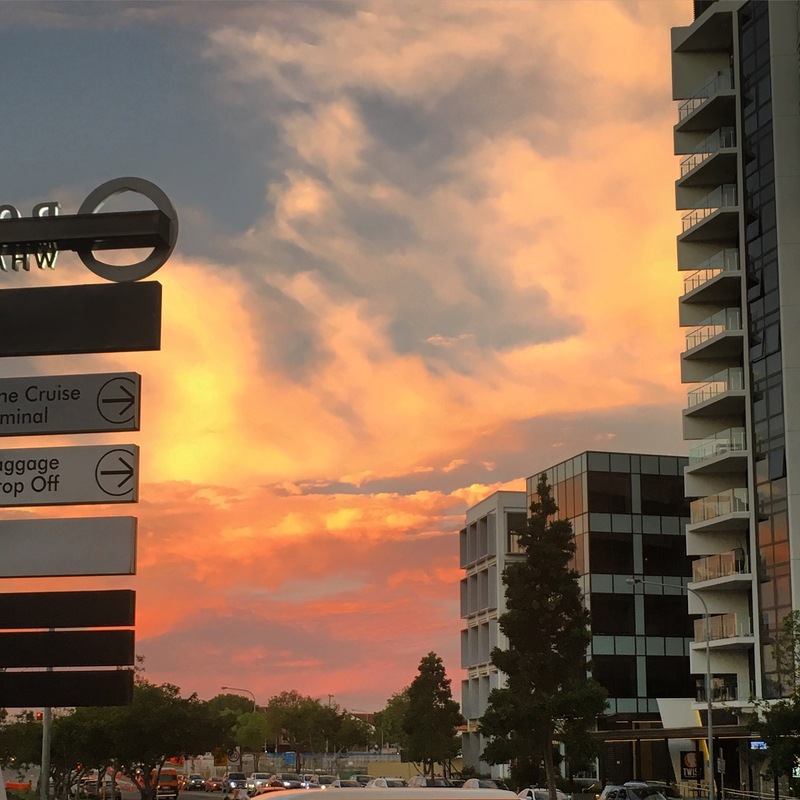 Even amongst the apartments sprouting in the area, you might still catch a pretty sunset. Keep in mind with Portside, parking at peak times is a nightmare, so go early or during those times when there is likely to be less people around. Dont forget to have the friendly staff validate your parking ticket before you leave. 2016 draws to a close with many ‘last for the year’ things happening. 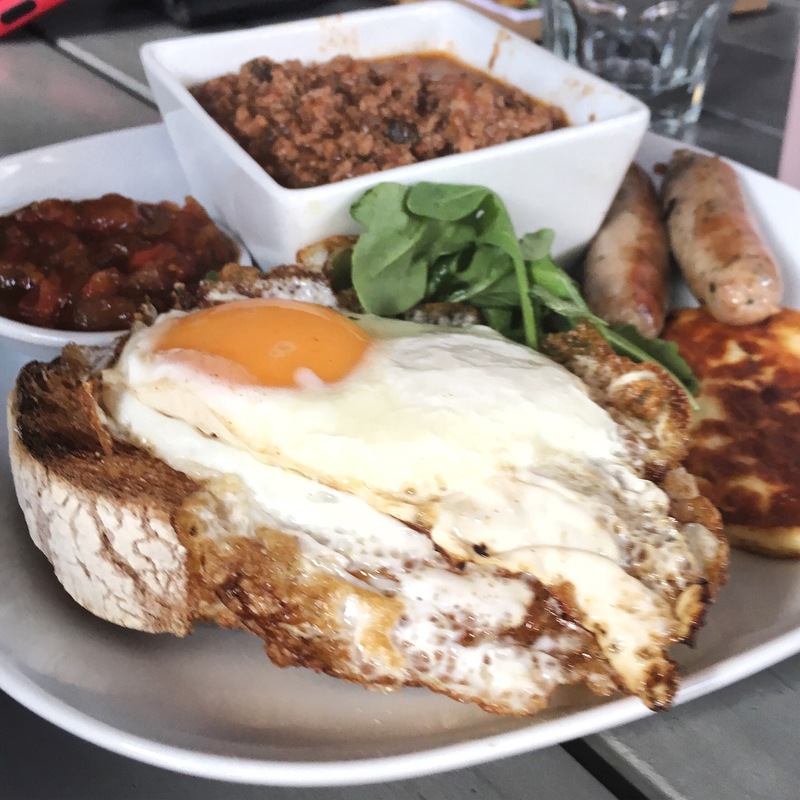 Today, was the last for this year, Sunday Brekky Challenge with our group. 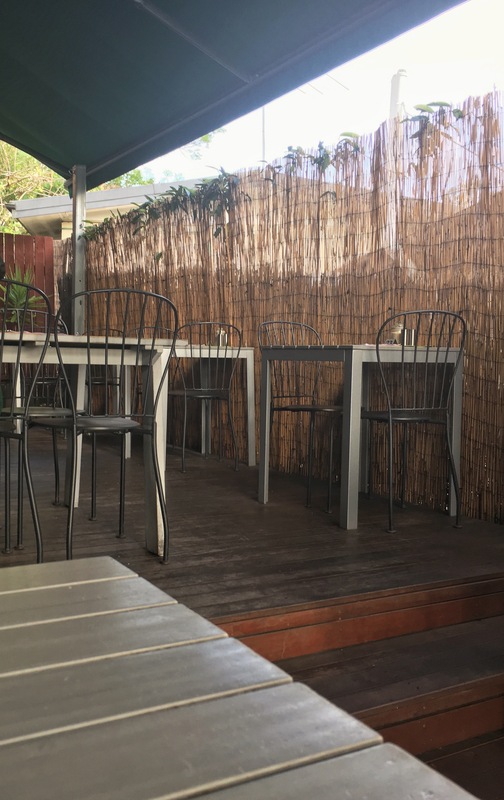 Chosen venue, The Rabbit Hole, located on Brisbanes southside at Seven Hills. Many areas to choose from with dining set up outside and inside. We had a nice outside table with friendly staff quick to show you to your seat and deliver water to the table. Drinks and meals are ordered and paid for inside, other than that though, the rest is table service. Everything is delivered to your table and cleared once finished. Nice to see too the pepper grinder come out with a staff member once you have your meals served. 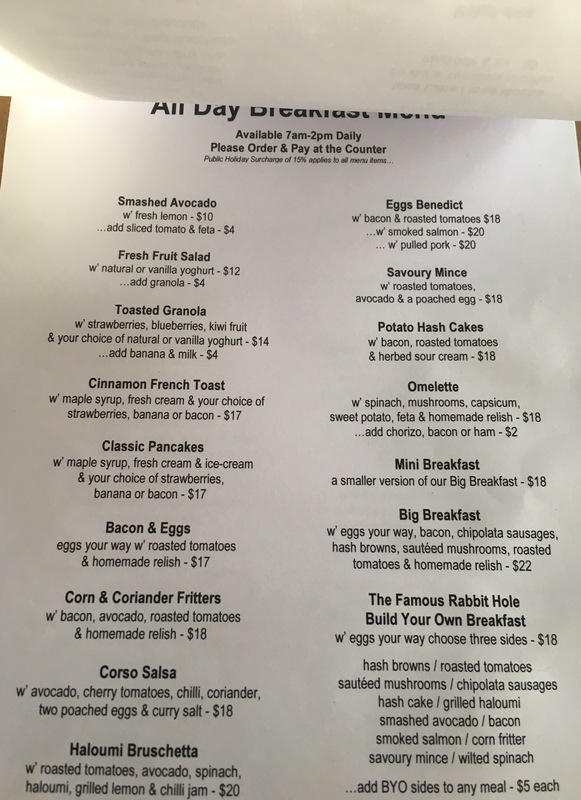 Some lovely sounding options on the all day brekky menu, now its just a matter of deciding what you want. Hubbys choice today was to be the build your own breakfast, choosing bacon, haloumi and chipolatas to accompany his savoury mince. Quite a substantial meal! 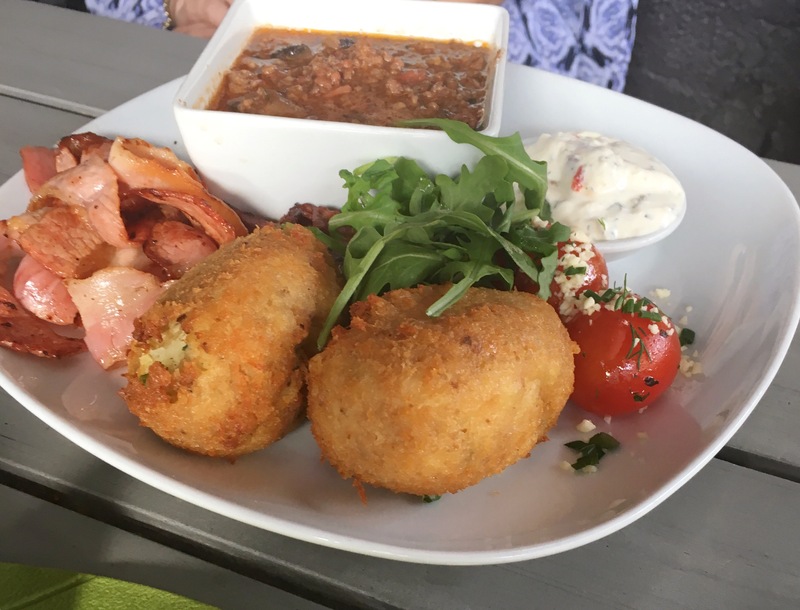 Potato hash cakes, also with a side of savoury mince, was another meal enjoyed at our table. Again quite a hearty meal in itself. Those potato hash cakes look devine. Based on the table recommendation, I opted for the omelette, with two of these chosen by our group. Now I thought the other meals were generous, however these omelettes were packed. 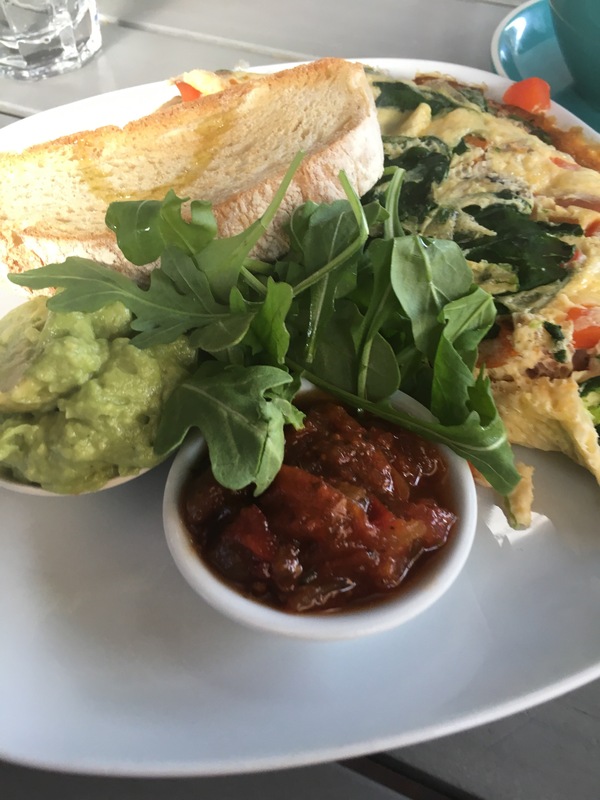 With a side of smashed avocado making a nice cooling touch against the spicy homemade relish, my omelette was complete. Here’s the initial presentation…. Now check out what was inside! 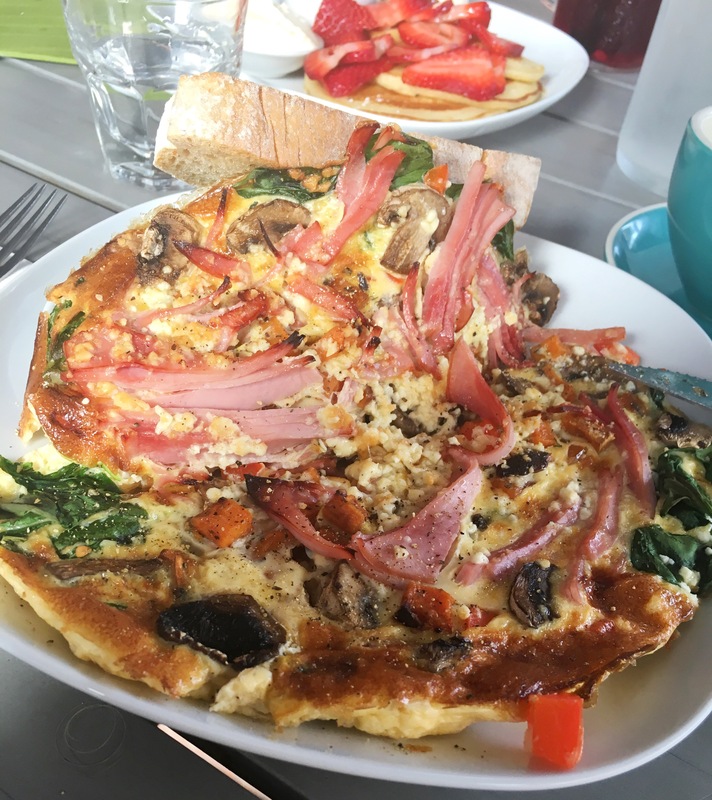 Definitely an impressive omlette! My touch was to spread some relish and avocado inside then fold it over again. Yum! Lovely looking cocktail list and lunch/dinner menus here too, making it worth a visit any time of the day. 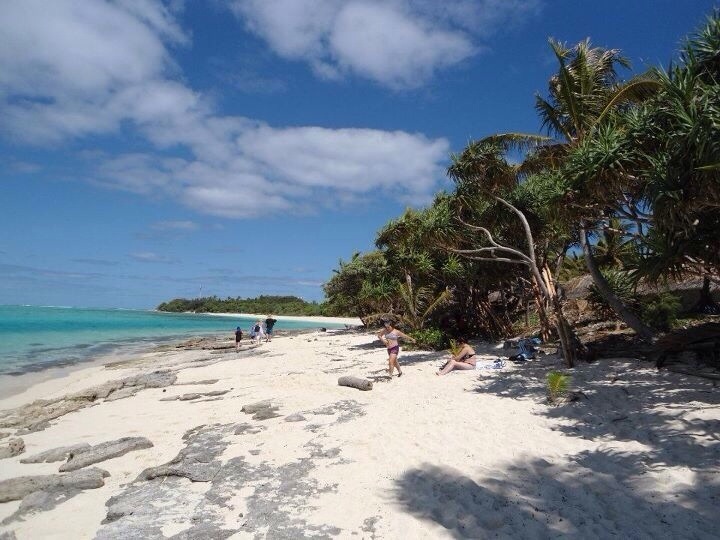 To be honest, we say it would be a nice place to kick back on an afternoon over a meal and couple of quiet drinks. Handy for those who live in the area too. Check this one out, I don’t think you will be disappointed! 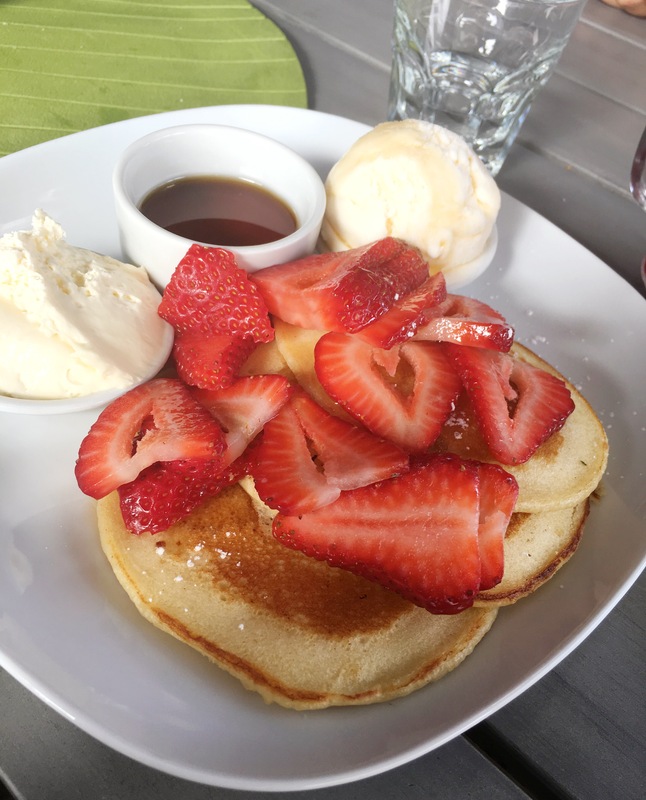 Oh and perhaps you can finish with a dessert brekky plate, like the guys did….would have loved to have tried these pancakes but just too full!